We all know that IVF can be an expensive, painful gamble—but according to new research, having the procedure covered under your insurance could improve your odds of conception. If you've been considering in vitro fertilization, you probably already know that the procedure isn't a slam dunk. While IVF does represent a great option for couples who struggle to conceive naturally, the sad reality is that it doesn't always work. But researchers have identified one factor that could boost success rates among IVF patients. The bad news? This factor isn't always in your control. According to the study, which was published in The Journal of the American Medical Association, couples whose procedures are covered by insurance have better chances of conceiving via IVF. This isn't exactly surprising news, and the researchers state that themselves. IVF is expensive, and many couples can only afford a single round of the procedure on their own. Having the financial means to cover multiple rounds would boost a couple's odds of conception. "It's a simple and possibly obvious finding, but it highlights the importance of health insurance in the outcome of fertility treatments," study lead author Emily S. Jungheim, MD said in a release for the research. "The biggest hurdle may not be the fertility treatment but the cost." The study's authors observed 1,572 women who were undergoing IVF treatments (over half of these women had the procedure covered by insurance). According to the American Pregnancy Association, IVF treatments generally cost between $14,000 and $17,000, and while success rates vary based on demographics, women under 40 only have about 40 percent success rate. About 70 percent of the observed women who had the procedure covered were able to schedule second rounds after their first procedures didn't work. Women with coverage had a 59 percent chance of becoming pregnant through IVF compared to a 51 percent rate among women without coverage. There were no other significant differences between the groups. 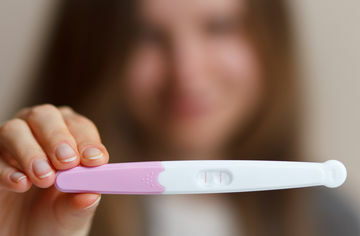 The study's authors pointed out the while 15 U.S. states have infertility insurance laws in place, only five states include IVF coverage in their insurance policies: Illinois, Massachusetts, Rhode Island, Connecticut and New Jersey. The bottom line? IVF isn't always successful the first time around, and having the funds to cover subsequent attempts will—not surprisingly—boost your odds of conceiving.